Bhubaneswar, Dec 21: With an eye to the promising industrial scenario in Odisha in the next 25 years, Indian Railways will prepare a roadmap to broaden the rail network in the state to make it one of the finest in the country, a central minister said. Following a review meeting over ongoing railway projects in the state, union Minister of State for Railways Manoj Sinha on Sunday said priority would be given for rail network to the unconnected districts. “An action plan for infrastructure development to provide better railway service in Odisha would be prepared in the coming days,” Sinha told reporters after a meeting with officials of the East Coast Railway (ECoR) here. Sinha said priority would be given to the local people’s aspirations. “Indian Railways is trying its best to further broaden the railway network in Odisha to make it one of the finest in the country,” he said. On the next railway budget, Sinha said his ministry had allocated adequate amounts to the state in the last two budgets, which was much higher than the expectations of the state government. He said that this time also, Odisha would be given priority in the railway budget. “It is our priority and the special interest of the prime minister to invest more in states like Odisha,” he added. 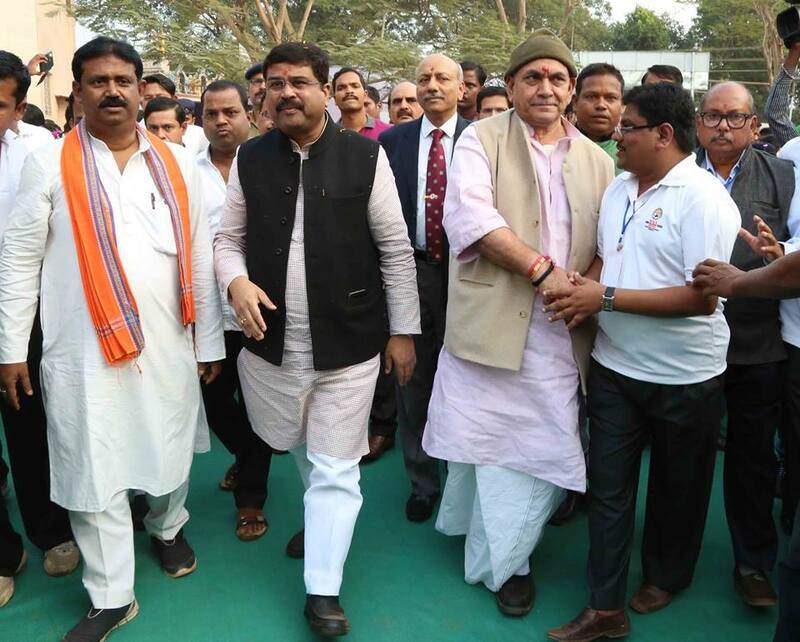 Union Petroleum Minister Dharmendra Pradhan — who hails from Odisha — said the Centre was making all efforts to incorporate many proposals in the next railway budget that were suggested by industrial groups and senior citizens during his earlier visit to the state.